This year we have been invited to Thanksgiving dinner so there are no party at our house. 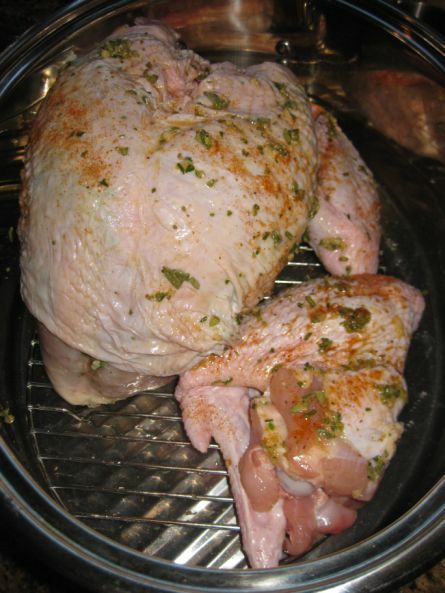 However, I am cooking a Turkey breast just for us so I decided to buy just the breast and Wings. 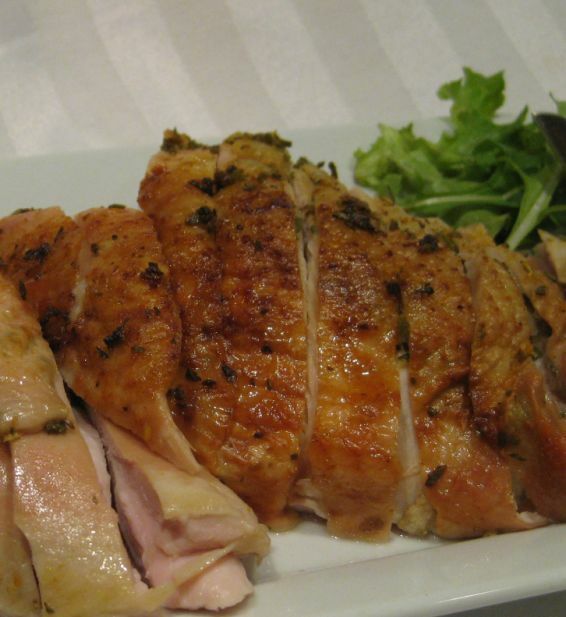 This recipe is from Ina Garten and it is so easy to make. This recipe can feed up to 6 people, and since there are only 3 people at our house the leftovers are great with a salad. I also used the bone to make a porridge (Chao). 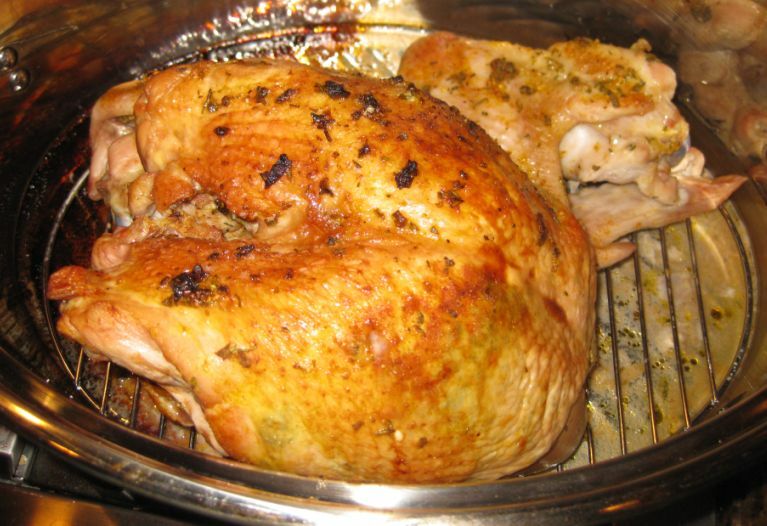 The turkey was perfectly roasted and the meat is very moist. make sure to use a thermometer so you can tell it is the correct temperature. 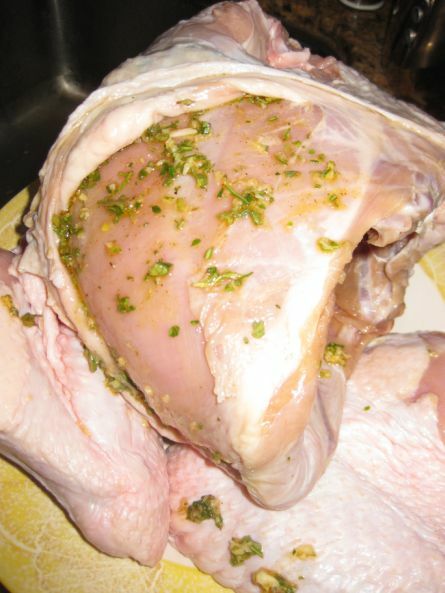 I also enjoyed the really herb flavor on the turkey. 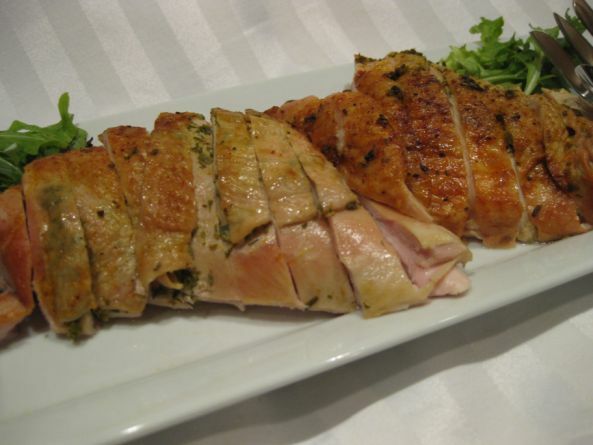 Close look at the roasted turkey breast. I also made a gravy with the brown bits left in the bottom of the pan and the gravy turned out to be so flavorful and great with the turkey. 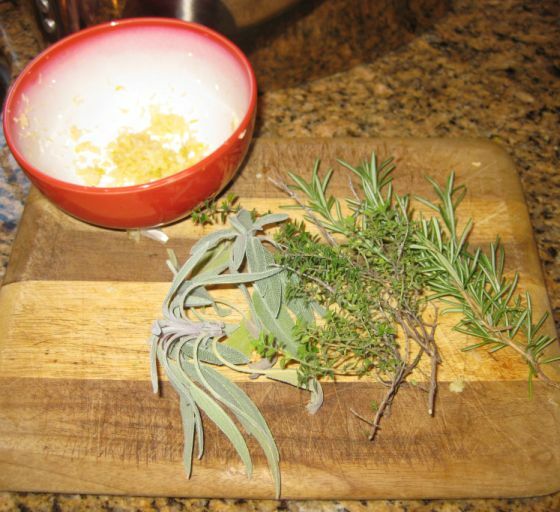 Chop the garlic, sage, thyme, and rosemary. Note: all the herbs are from my garden. 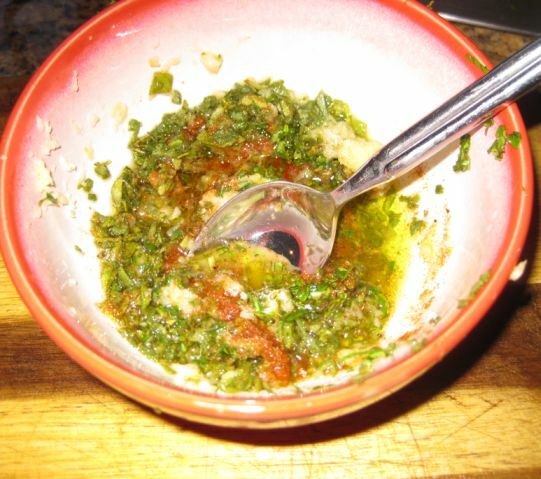 Put in a bowl all the chopped herbs, garlic and add olive oil, salt, Pepper, lemon juice to make a paste and set aside. 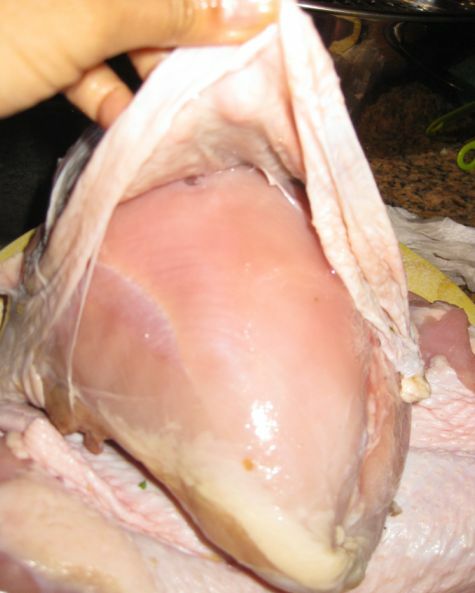 Here I am loosing up the skin from the meat. 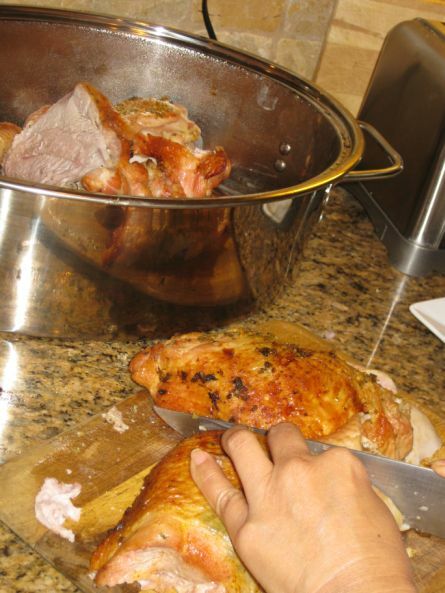 Next, I am smearing the half of the paste on the meat and the half is smeared on the skin of the turkey. 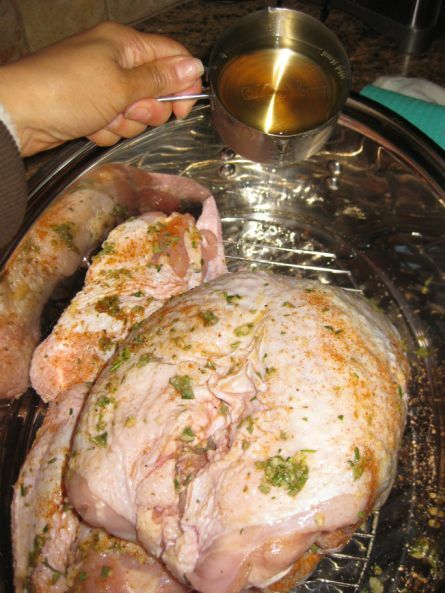 The turkey is not ready to go in the oven for about 1 3/4 hour up to 2 hours or until the skin is golden brown and an instant-red thermometer registers 165 degrees F. when inserted in the thickest and meatiest area of the breast. 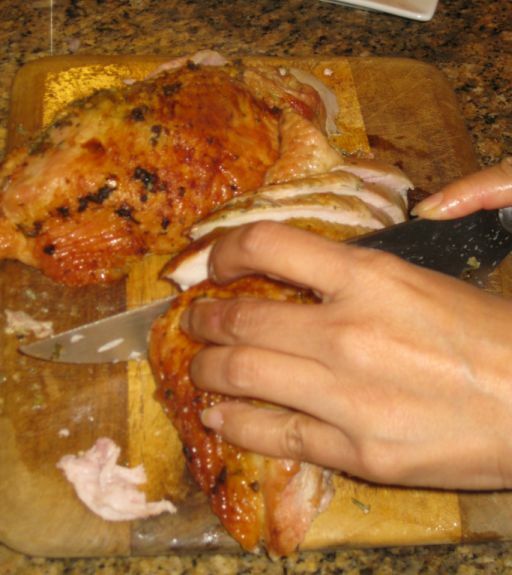 Here I am slicing the breasts into slices.